PrintTransformer adds dynamic formatting to MarkMagic. Define conditional behavior at the field level. 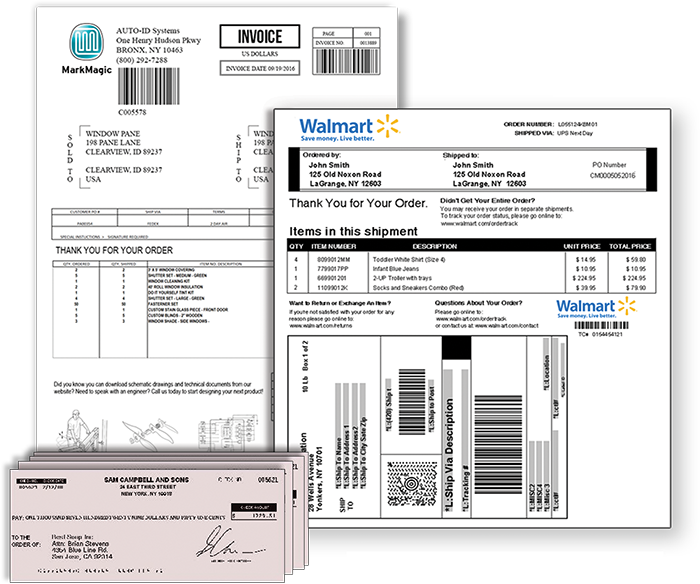 Text, Bar Code, Line, Box, Graphic, Text Block and even RFID field attributes can print conditionally based on variable data or job attributes. The MarkMagic PrintTransformer add-on lets you take control of your document management with minimum effort. At print time, PrintTransformer automatically processes rules and conditions, changes printing instructions, bursts print files to print each page or record with its own set of instructions and changes field attributes based on field data. PrintTransformer adds a whole new capability that you never had before – the power to develop sophisticated, dynamically formatted print jobs without writing a line of code. 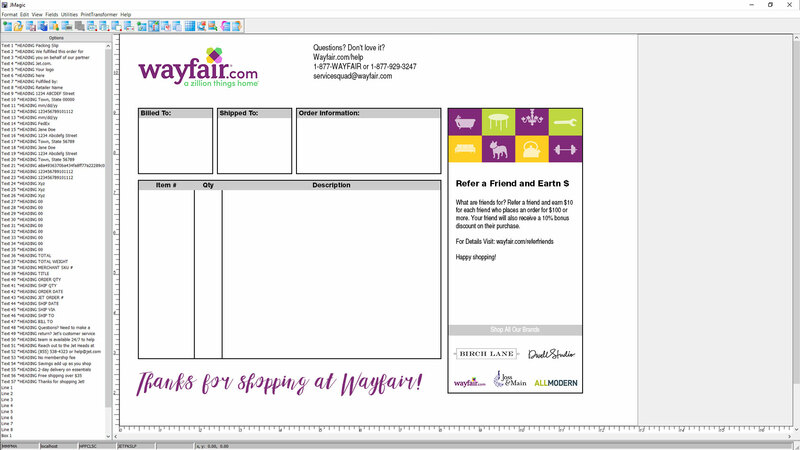 Dynamically change fields based on label or document information, such as a customer balance greater than zero, and you wish to print a reminder message, or to automatically print a holiday message on a certain set of days. Dynamic logos and other graphics can be displayed or suppressed based on Company, Customer, or SKU. Perfect for generating legal documents for multiple entities. Change Field Color based on data in any field in real time. Rules and conditions can be easily combined and multiple rules and conditions can be created to select printer, change multiple field attributes, or modify other instructions all in the same print job. With just a few simple rules you can completely transform your forms on a page by page basis. Dynamic form editing made easy! With just a few strokes of the keyboard, you can turn your regular forms into dynamic, fully customized documents. 12. 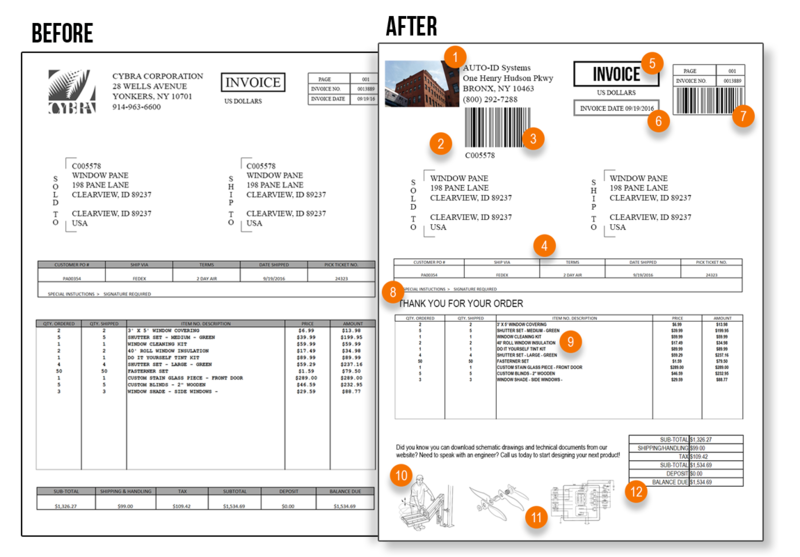 Move Boxes, Lines, and Text Fields from across bottom lower right of invoice. When PrintTransformer is combined with other MarkMagic features, the results can be dramatic. Combine PrintTransformer with other MarkMagic Add-Ons such as PrintMonitor, and the PDF / e-Mail / Fax Option, and the FormComposer of MarkMagic to make your document management even more powerful. Automatically transform and print a PDF document when a record is added to a physical file or when a spooled output file appears in a queue. There is no limit to the ways PrintTransformer can simplify your document management. Use FormComposer to create and print your monthly statements. Then, let PrintTransformer separate the output by customer. Create a report with lookup fields, repeating detail lines and calculated totals. Use PrintMonitor to broadcast the report to multiple printers – and use PrintTransformer to further process the output. Define “rules” to automatically determine how a print job should run and “conditions” that determine which field attributes will print conditionally. This dynamic formatting gives you the ability to modify field attributes and redirect in-process print jobs without programming. Change Barcodes and Make Text Fields Disappear From One Label to the Next! Change barcode type based on carrier or customer on a record by record basis. Burst print jobs and use a different format for subsequent pages of a document. Print header information on one page, and subsequent pages are all detail. Change Character Sets, for example, by testing for Country and printing country-specific labels or forms with correct currency symbol and formatting. How Randa improves order fulfillment speed with VSS Supply Chain Consulting and MarkMagic Barcode Labeling Software. INTERESTED IN THE PRINTTRANSFORMER ADD-ON? Contact CYBRA to discuss your specific software and hardware needs, and to see how the PrintTransformer add-on can positively impact your business.